Located 20 Km from Kakinada and 75 Km from Rajahmundry, It is considered to be one of the 18 Shakthipithas in India. It is famous for the temples of Kukkuteshwara Swamy, Kunthimadhava Swamy and Sri Pada Vallabha Anaagha Datha Kshethram, Agraharam, Sri Venu Gopala Swamy Temple. 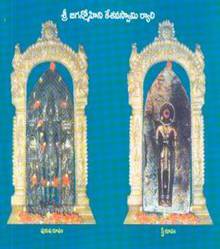 According to “Bhimeswara Purana” of Srinath kavi Sarvabhuma, Pithapuram is one of the twelve pilgrims (Dwadasa Punya Keshatras). The sage told that Pithapuram is equalent to Kasi and also known as Southern Kasi (Dakshina Kasi). Pithapuram is third one of three Gayas of India. * 1st is – Siro Gaya also familiarly known as “GAYA”, located in Bihar State. * 3rd is – Padagaya Pithapuram, located in East Godavari District of Andhra Pradesh. Sri Jaganmohini Kesava & Gopala Swamy Temple Rajahmundry, 74 Km from Kakinada and 34 Km from Amalapuram and it is situated between the rivers Vashista and Gautami, Tributaries of river Godavari, this is the site of the renowned Jagan Mohini Kesava Swamy temple. The exquisite idol, made of black stone depicting Maha Vishnu and Mohini on its front and rear sides, is a real marvel of sculptural dexterity. According to the legend "Bhagavatam" while Devatas and Rakshas were quarrelling over sharing of holy Devine nectar "Sree Maha Vishnu" came to the rescue of Devatas in the guise of Mohini and convinced both the rivalry groups promising to distribute holy Devine nectar in equal share to Devatas and Rakshas. But in the interest of universal peace and welfare of sages, holy and Devine nectar was distributed among Devatas alone and the Mohini disappeared. Lord Siva having seen the most fascinating beauty of Mohini allured her. He chased her for getting for a while the presence of his consort Parvathi Devi it is the general belief that the holy incident was the result of birth of "AYYAPPA SWAMY". One flower from the plait of Mohini fell down and it was smelt by Lord Siva. Then he surprisingly found "Sree Maha Vishnu" in the form of Mohini and felt shy for his behavior. The place where the flower from the plait of Mohini fell is named as RYALI the Telugu meaning of "Fall". This place known as Ryali for the above reason became above of Lord Siva and Sree Mahavishnu with the form of Mohini on back side Lord Brahma consecrated the Siva Lingam with his Kamandalam and hence Lord Siva at Ryali is worshipped as Sri Uma Kamandalesara Swamy Varu, Sri Mahavishnu with the form of Mohini on backside is worshipped as Sri Jaganmohini Kesava Swamy varu both Siva and Vishnu Temples are located facing each other. This is very rare feature at Ryali where Vishnu and Lord Siva Temples faces each other in East, West direction. 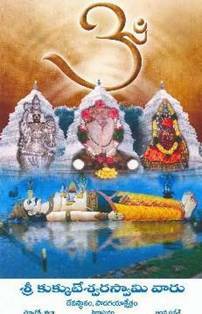 The temple is located at a distance of 5 Km from Kakinada. The story of Sarpavaram is narrated in the Brahma Vyvarta Purana. The great saint Agastya narrated this story to Saunaka and other saints of the Nymisha forest. The great saint Kashyapa married Kadru, to whom thousand serpents were born. Kadru asked here sons to go and embrace to tall of Uchai Srava, the white horse of Lord Indra so that the she would make Vinata the second wife of her husband, her servant maid. But they disobeyed their mother as they did not like to dupe Vinata. The legend Ahalya-Indra Saapa Vimochanam in the Ramayana states that a rishi was married to Ahalya. Indra lusted after her and using a ploy, disguised as Gowtama embraced her. Enraged, the rishi cursed his wife who was petrified into a rock but was absolved of her curse by Rama (incarnation of Vishnu). Indra was cursed with a life of disease. He lived through his curse and performed severe penances (at the instance of Gowtama rishi) and was absolved of his curse after a dip in the Godavari river at Someswaram. Thus a ritual bath in the river is considered special in the month of Kartika, and on Mahashivratri day earlier on in the calendar year.